Although Steve Shirley believes the 30 years he spent in banking was a “great prep career” for health IT, he admits he still had a lot to learn when he took the helm as CIO at Parkview in 2009. So he decided to start rounding to strengthen his knowledge of all things clinical, and he hasn’t stopped. In this interview, Shirley talks about the paradigm shift required to migrate to Meditech 6.0, how he’s working to bridge the gap between the IT and clinical worlds, his mobile device management strategy, and the “progressive” HIE landscape in Colorado. He also discusses his journey from board member to CIO, and what Parkview is doing to bolster the healthcare workforce in the Pueblo area. In an average year, we see 80,000 visits in our ED, including a whole lot of folks who use the emergency room for their well-patient visits. It provides us with some interesting challenges working through that type of a payer mix. I see situations where the clinical side honestly feels that IT says, ‘Here’s a piece of software, figure out how to use it.’ And we, like a lot of other hospitals, were saying, ‘No, tell me what you need to do and we’ll figure out how we can build the system. I think the biggest challenge we saw, outside of just getting folks to work through a change and to adopt new systems and new processes, was really the infrastructure change in Meditech. We’ve been able to create some workflows that help a nurse. That’s one of our biggest issues — every time they go in a room, do they have to be taking a computer on wheels, or can they do something with a smaller handheld? When we first told our staff we were going to use the iPod Touch, they all looked at us like we were crazy. But to PatientSafe’s credit, they really developed a very robust feature set, and we have had no problems with the devices. Gamble: Hi Steve, thanks so much for taking the time to speak with us today. Gamble: Just to give our readers and listeners some background information, can you just tell us a little bit about the organization — what you have in terms of hospitals, clinics, things like that? Shirley: Parkview Medical Center is one of really three community hospitals acute-care wise left in Colorado. We’re located in Pueblo about 100 miles south of Denver. We are a standalone community hospital. We have 19 locations that are part of our ambulatory presence, somewhere in the neighborhood of 90 employed physicians and so we have presence all throughout our catchment area, which is Southeastern Colorado. It’s quite a large geographical area, but all in one unit hospital. We do have a freestanding emergency room in a community west of Pueblo, which has been really a fun endeavor and has been very successful. Gamble: Is that something that was set up fairly recently? Shirley: It’s been a couple of years. They exceeded expectations in the first month, so that’s always nice. Gamble: Obviously, there’s a need that’s being met there. Shirley: Yeah, there really is. We’re seeing that folks from some of our catchment area are driving in to that ED, and so that’s kind of nice for us also. Gamble: As far as the patient population, how would you characterize it? Shirley: We’re one of those interesting hospitals that has to work through every day having a patient population that’s approximately 73 percent Medicare/Medicaid indigent, so we have a very large portion of our payer mix coming from that area. In an average year, we see 80,000 visits in our emergency department, including a whole lot of folks who use the emergency room for their well-patient visits. It provides us with some interesting challenges working through that type of a payer mix. Gamble: Yeah, sure. I can imagine. Having that high of a Medicare population, how does that affect you in terms things like Meaningful Use? How does it affect your strategy? Shirley: I don’t see much effect there strategically. We’re just so clearly focused on what we’ll do to meet our 14 core and five menu objectives that the payer mix has not been that big of a challenge to us. We have a hospitalist group that we contract with and we also have a residency program, so it’s really working through the mix of physicians and providers that help us get to our Meaningful Use attestation, which is going to happen this year, by the way. Gamble: When you talk about providers do you have providers who are affiliated with the system as well as employed? How does that work? Shirley: We have the Heinz variety, so we have about 90 employed physicians, and that does include our residents. We have the hospitalist group that we contract with. We also have 350 physicians in the community who are credentialed and have privileges at the hospital; 180 of them or so have multiple admissions per month. So we get the opportunity to work with all of those different groups of people. Our employed docs include everything from internal medicine to family medicine to neurology, neurosurgery, and orthopedics. We have quite the spectrum in those different areas, so we get to work with all those folks. Gamble: Taking a little bit of a step backwards, tell me about the clinical application environment at the hospital. Are you using Meditech? Shirley: From the inpatient side, we are using Meditech. We went live with Meditech back in the 80s and we were a Magic shop until April 2of this year, when we switched and migrated to 6.0. We’re one of the university users up in the new Meditech technology area. On the ambulatory side, we use eClinicalWorks. We’ve had pretty good success with that package and we use that with all of our employed physicians, our residents, and everybody else in that area. Gamble: It seems like you have a lot going on. You have different mixes here and there, so it’s a lot to keep track of. Shirley: It most definitely is. 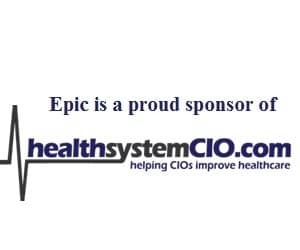 It’s fun to watch the evolution of what’s happening in healthcare IT and what we need to do to respond to that. Four years ago, we had no nurses in the IT department and a staff of 20. Today, we have eight nurses in IT and a staff of 40. But most importantly, in the next 30 days or so, we’re going to hire a director of Clinical Informatics, which will be somebody who has a minimum of three years of floor nursing experience and then of course an IT background. There’s very much a need to create that integration between the clinical side and the IT side that perhaps has been missing over the years. Gamble: Is the new director position something you’ve been pushing for a while, because there’s a need for it? Shirley: Yeah, it is. What I’ve noticed is that as nursing documentation went electronic and when you look house-wide at the amount of computerization we’ve done in the last few years, it becomes clearly obvious that without that tie or that collaborative guidance between the clinical side and the IT side, you just create a terrible disconnect. That’s a big issue, because in so many cases I see situations where the clinical side honestly feels that IT says, ‘Here’s a piece of software, figure out how to use it.’ And we, like a lot of other hospitals, were saying, ‘No, tell me what you need to do and we’ll figure out how we can build the system and how we can create things that will help you take great care of your patients and keep them safe.’ We’re very excited about that because we’re certainly seeing this piece through. Gamble: Do you have a decent amount of input on the person who’s coming in? Shirley: I do. We actually have a committee system to do interviews, but the person will report to me. And so I’ll actually be heavily involved in that selection along with our Chief Nursing Officer and some other members of senior management, as well as other directors. We’ll have a good cross-mix of folks to make sure we bring somebody in here that can live our culture and contribute to it. Shirley: Exactly. But it’s going to be good. It will be exciting. Gamble: Yeah, that’s definitely a big thing. You said the IT staff is about 40, with eight nurses. Gamble: Has that been a gradual thing, just adding some of the nurses one by one? Shirley: It has been gradual. We looked at our needs going to Meditech 6.0 — that, as most hospitals will tell you, is a fairly massive project. We worked on it for easily two and a half years with 150 people, and so along the way there were various additions, opportunities to bring some nurses in, so that worked well. Gamble: So it’s been a long road with this. What do you think has been the biggest hurdle with the migration? Shirley: Interestingly enough, as we talked to our peer hospitals and started to get a flavor for what we could expect, interestingly enough, it was a lot about printing with Meditech 6. It was about access issues with Meditech 6. But I think the biggest challenge we saw, outside of just getting folks to work through a change and to adopt new systems and new processes, was really the infrastructure change in Meditech. For us, Magic was nine servers in segmentation in a very stable platform. Meditech 6 is 61 servers for us and a much different environment, and it’s much more focused on Windows as well as all 61 of those servers working together. So that, for our engineering staff and others, was a big change and a big paradigm shift from what we’ve done before. Gamble: Is that something where you knew that this was going to be a long road and was going to be a phased thing? Gamble: Sure. Okay, so tell me a little bit about the work you’re doing with PatientSafe. How are you using those solutions? Shirley: That’s been an interesting project. Back in 2007, I was actually on the board of the hospital and they introduced and brought to us the desire to go with a company called Intellidot for bedside meds verification. It was a very successful project. As might be expected, the paradigm shift was a little difficult for the nursing staff, but they did just a fabulous job in getting things going. We had that product for a number of years and then IntelliDOT changed to PatientSafe Solutions and went away from what we call the CAREt, which was their handheld device. They migrated over to an iPod touch, and we started to move into this new era for their software. It’s worked well because we get the functionality of not only bedside meds but we’re also doing blood transfusion and specimen collection. We’ve got secure text messaging going on, and we’re in the process right this moment of moving a voice application into it so that we can eliminate one piece of equipment a nurse carries around. We’re also working heavily towards interventions, so we’re going to do RT interventions and we’re going to be able to collect vitals and do some rounding. So really, the system and the device have worked out very well for us, and it’s been fun, because we’ve been able to create some workflows that help a nurse. That’s one of our biggest issues — every time they go in a room, do they have to be taking a computer on wheels, or can they do something with a smaller handheld? So that piece has worked well for us. Gamble: I would imagine this is another area where having that director of Clinical Informatics will come in and help that along just as far as understanding workflow and implementing systems that help workflow instead of hindering it. Shirley: I couldn’t agree more. That’s the thing that I see being so positive for this hospital — with this increasing computerization for the nursing group, it’s really somebody who gets their workflow and understands exactly how we have to translate what they do into systems that help them. That’s going to be good. Gamble: As far as the devices like the iPod touch, is that something that universally was the device of choice? How did that work? Shirley: That’s the device that PatientSafe works with and deployed. We’re actually migrating right this moment to an iPhone because in one of the Apple Software upgrades, the VoIP capability was eliminated from the iPod touch, so we’re migrating to an iPhone. The thing we like about it though is it’s no longer that single point of failure-type device like the CAREt was, and so we can have other apps on these things with drug dictionaries and a variety of things like that. And it’s nice to be able to have a device that’s also your phone. It’s kind of like the old Tim “The Tool Man” Taylor idea where they have all kinds of tools hanging in their scrubs. And so it would be nice to get rid of one of those tools. Gamble: It’s pretty amazing how the iPhone just surged ahead at some point. I’m not sure when it was, but now it really seems to be the device of choice at a lot of places. Shirley: It’s amazing. When we first said to our staff, we were going to use the iPod Touch, they all looked at us like we were crazy. But to PatientSafe’s credit, they really developed a very robust feature set, and we have had no problems with the devices. So we’re very pleased about that.